Raleigh is a great city for many reasons, and one of them is that it has a multitude of parks in and around the city. One of the largest of these is the William B. Umstead State Park. Referred to by locals simply as “Umstead,” this 5,579-acre park is one of the premier spots in the Triangle to go running, hiking, biking, boating, fishing, picnicking, and walking. There are even campgrounds if you want to spend an evening under the stars (or trees). While you are at Umstead, the Exhibit Hall is always interesting to check out, and there are often events and educational opportunities to take advantage of. 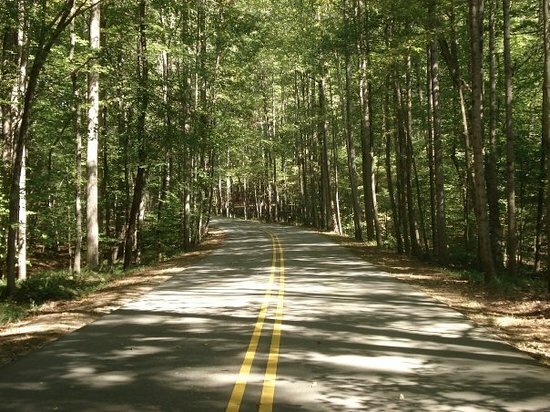 Umstead State Park is located between Durham, Raleigh, Cary, and Research Triangle Park. Aside from its size and beauty, one of the reasons this park is so popular is its incredibly convenient location. Before people ever set foot in Umstead it was inhabited by the likes of bison, bobcats, elk, and wolves. Eventually Native Americans began to build trails through the area until pioneers settled it in 1774. In 1934, the government retook the land under the Resettlement Administration. This eventually led to the creation of the park we know and love today. The park is currently open at the Crabtree Creek entrance at 7:00 a.m. This is so that early birds have access to the trails, a great place to get your morning run in. All other entrances to the park are currently open from 8:00 a.m. to 9:00 p.m., though the hours do change seasonally.